3	 Can a leaky heart valve be solved? 1	 Ghosts: illusion or reality? 3	 Is it possible to experience the end of one’s own life? 1	 The inevitable swing towards dissolution: was Heidegger indeed right? 1	 They intoxicate writers, don’t they? 1	 Was Rousseau indeed right? 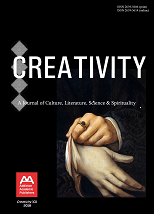 2	 Creativity – nature or nurture? 9	 Romanian Drama. What’s up, doc? 1	 Watchman, what of the night? 5	 Aren’t we all puppets on ill-intended strings?